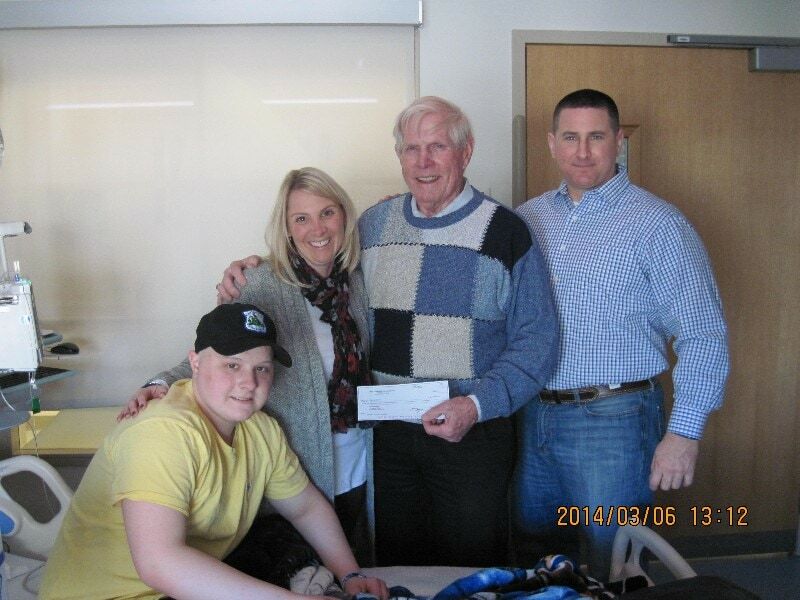 On Thursday, March 6, 2014, Cops For Kids With Cancer Went to Children’s Hospital and made a $5000.00 donation to the family of Dominic Ceppetelli, a 17 year old boy from Manchester, NH who has Ewigs Sarcoma. In photo left to right, Dominick, mother Melinda, Bob Faherty, and sponsor, Sergt. Todd Harbeck, Conn. State Police.